My friend and neighbour asked her children to pop down into the garden to pick some lemons off their tree, keep them entertained while dinner was being prepared. I suppose the trick with young children is you need to be specify exactly how many lemons you want them to pick otherwise it turns into a game and they merrily pick away all the lemons within reach which is what happened and why I was the receiver of an armful of beautiful, thick skinned, very large juicy lemons. We use a lot of lemons and limes in a week but this was even a little too many for us in our every day cuisine so I decided to make lemon curd. When you lead a busy life and are permanently rushed for time, standing over a pot stirring and waiting for curd it to thicken could be hit and miss, if like me you are attempting to multitask at the same time. I decided to give the microwave method a go and hoped I wouldn’t end up with lemony eggs as I wasn’t sold on the idea apart from the time factor. I was amazed how easy it was, with no scrambled egg in sight, as a result I will never toil over a stove again to make curd. The key is to cook the mixture in short bursts in the microwave and whisk in between every burst of cooking time. I normally treat my curd like gold and if you get a jar you are honored indeed when it takes so long to make I tend to hide it at the back of my cupboard but this method was so quick I gave all the jars of curd away with the same speed it was made, knowing I can whip up a batch any time. 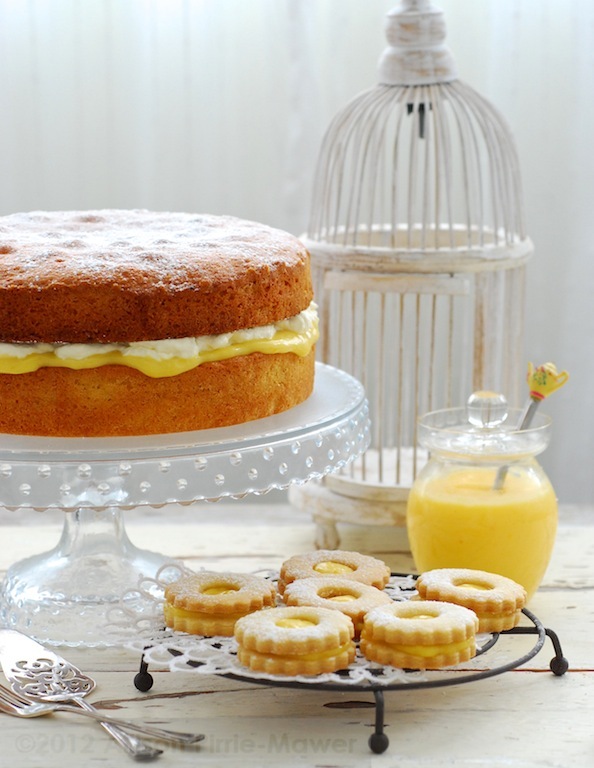 Once you have a batch of lemon curd, the dessert table beckons you to bake, easy shortbread turns into delightfully special treats and the traditional Victoria Sandwich Cake becomes a little more royal. Sterilise your jars & lids by boiling in water for 10 minutes. Whisk together the lemon juice, zest, sugar and eggs in a plastic bowl, I use plastic because it doesn’t heat as much as glass or ceramic (less likely to get scrambled egg). Place bowl in microwave on high for 1 minute , remove and whisk. The butter will only be partially melted. Heat again for 1 minute in microwave, remove and whisk. If the butter has already melted and the liquid is getting warm start heating for 30 seconds bursts only and remove from microwave in between each 30 seocnds and whisk before heating again. Once the lemon curd has thickened it is done. Pour into sterilized jars and seal with lid. Place sugar, flour, butter into a food processor and whiz them until they resemble breadcrumbs. Then pulse slowly until the mixture comes to a dough, do not over mix at this stage. Remove biscuit dough from the food processor and place between 2 sheets of greaseproof paper. Roll the shortbread out to 1/2 inch thick and use a biscuit cutter to cut out circles. With half of the biscuits cut out a smaller whole in the centre, I used a large piping nozzle. Re-roll the scraps of dough and cut out further biscuits until all the dough is used. Place on a non stick baking tray with a little space between biscuits and bake for 20 minutes until golden brown, remove from the oven and allow to cool. 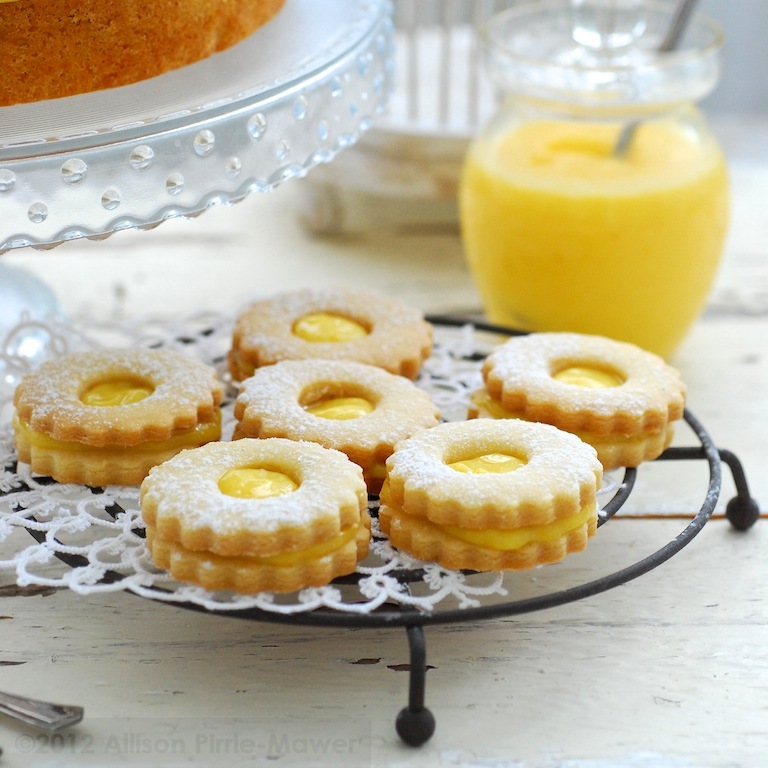 To serve, add a dollop of lemon curd to the base biscuit and top with a ‘wholy’ biscuit. Biscuits can be stored in an airtight container for a week without their curd filling. I recommend adding the curd before you serve them. Place the butter, vanilla bean seeds or paste and sugar in a large bowl and beat or whisk together until pale and fluffy. Fold in the flour with a large metal spoon, taking care not to knock out too much air. Spoon the mixture into the tins and smooth the top. Bake cakes in the centre of the oven for 30 minutes, do NOT be tempted to open the oven before this time is up as this sponge cake is sensitive and likely to sink if not fully cooked. Cake will be golden brown when cooked and spring back when touched. Remove the cakes from the oven and allow to cool for 10 minutes before removing from the tin and transferring to a cooling rack. Allow to cool completely before filling with lemon curd and whipped cream. You know it is strawberry season in our house, not by the abundance of strawberries in the fridge or fruit bowl but by the morning wake up call. As the season approaches the wake up call on hubby’s IPhone changes and sings out ‘Strawberry Fields Forever’, by the Beatles. The strawberry fields are calling him back to work, spring is here and its time to sell these little ruby jewels into market. it’s also a little ironic that I am a Liverpudlian and he chooses a Beatles song. 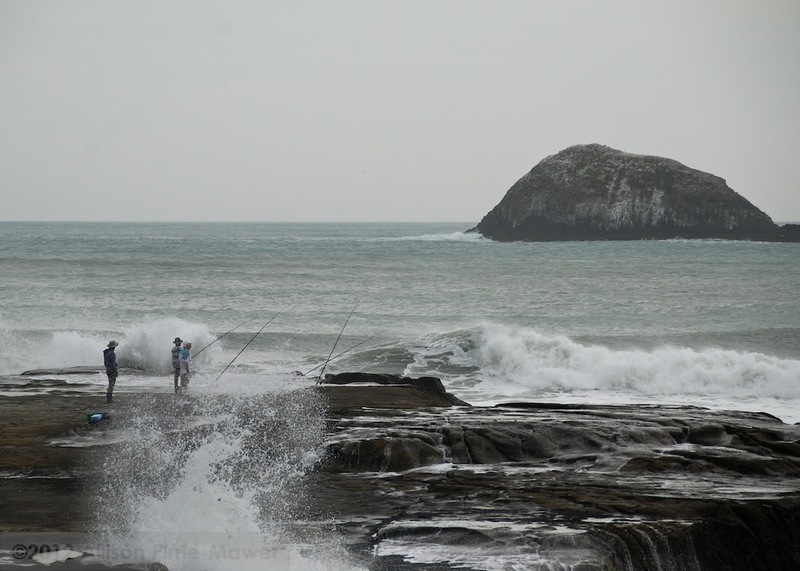 Do you have a favourite alarm call and does it change with your mood? When things have been a bit tough I have been known to have Lily Alan playing in the morning, her songs always make me laugh but also drive everyone bonkers all day singing them. Continuing on with my roasted strawberry series from last week, here are two other recipes to use your roasted strawberries with. 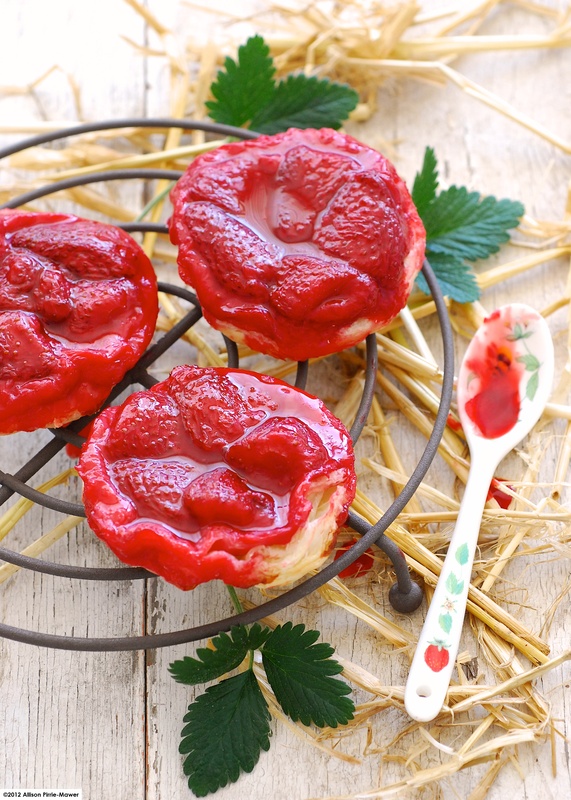 Serving them with cinnamon meringues and whipped cream is the perfect summer dessert or make a thumbprint biscuit a little more decadent, instead of using jam add a roasted strawberry to the biscuit after they are baked. Pre-heat oven to 120C and line two baking trays with greaseproof paper. Place egg whites in a clean large bowl with a pinch of salt. Whisk egg whites to soft peak. Sift in icing sugar gradually while whisking. Once the meringue is whisked to stiff, sprinkle the cinnamon over it in the bowl. 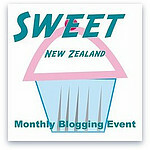 Taking a dessert spoon, scoop out a spoonful of meringue covered in some cinnamon and drop onto the lined baking tray. Each scoop will have varying amounts of cinnamon but this adds to character. Bake in the oven for 50 minutes. They should be crisp on the outside and soft/chewy in the centre. Allow to cool and serve with cream & strawberries. Place sugar, flour, butter, ground almonds into a food processor and whiz them until they resemble breadcrumbs. Add the egg and pulse slowly until the mixture comes to a dough, do not over mix at this stage. Remove biscuit dough from the food processor and divide 12 equal portions. Roll each portion into a ball and place onto a nonstick baking tray and pres the centre down with your thumb, almost all the way through. At this stage you would add a blob of jam for thumbprint biscuits but I have baked mine naked so I can top them with strawberries. Bake for 20 minutes until golden brown, remove from the oven and allow to cool. Top each one with a roasted strawberry and some of the strawberry syrup from roasting. Eat immediately otherwise the strawberries will make the biscuit soft. 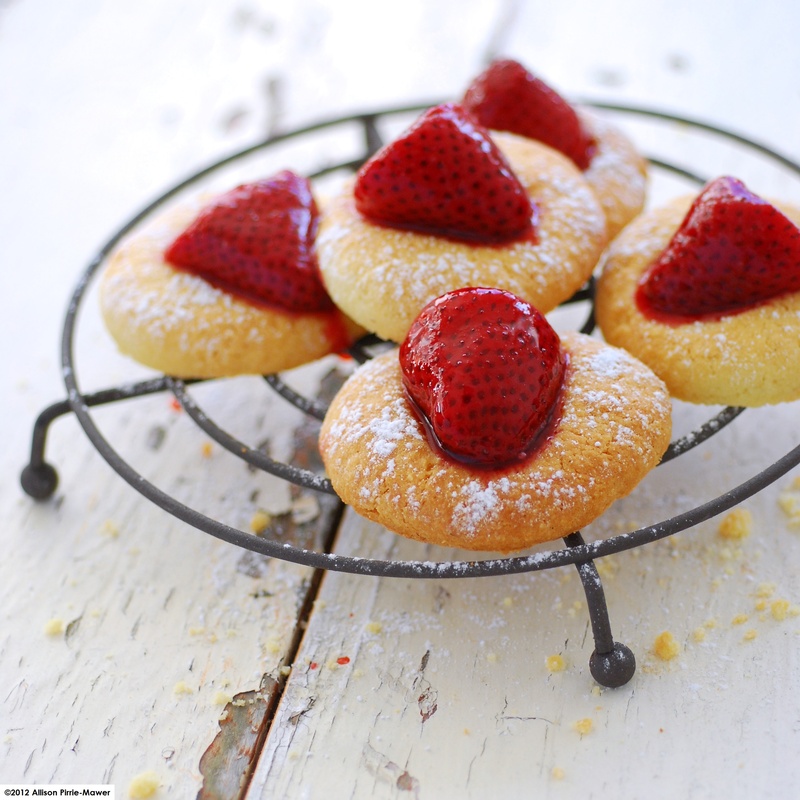 Store biscuits separate to strawberries if not eating them all at once! Roasting fruit is the perfect cooking method that allows the fruit to retain it’s colour, shape and flavour. I always roast my rhubarb and making the strawberry tarte tatin last week I was wishing for more baked fruit but not necessarily in a pastry case. Jamie’s method of cooking fish ‘en papilotte – in a parcel’ came to mind and I decided this should give the strawberries the same texture and flavour as the tarts. I just use vanilla syrup to sweeten the strawberries slightly, if you don’t have syrup, use seeds from a vanilla bean or half a teaspoon vanilla paste and a tablespoon of sugar. 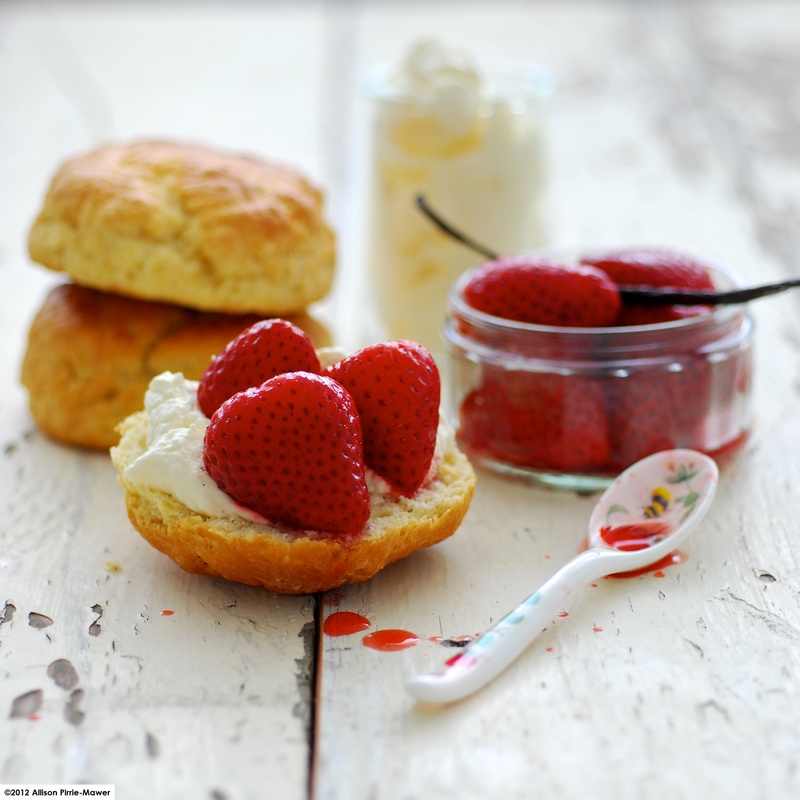 It’s a great alternative to jam for your cream teas, less sugar and still the full aroma of the fresh strawberry. Wash & hull the strawberries and place in a bowl with the vanilla syrup, toss the strawberries through the syrup. Take enough greaseproof paper to make a parcel to hold your strawberries. 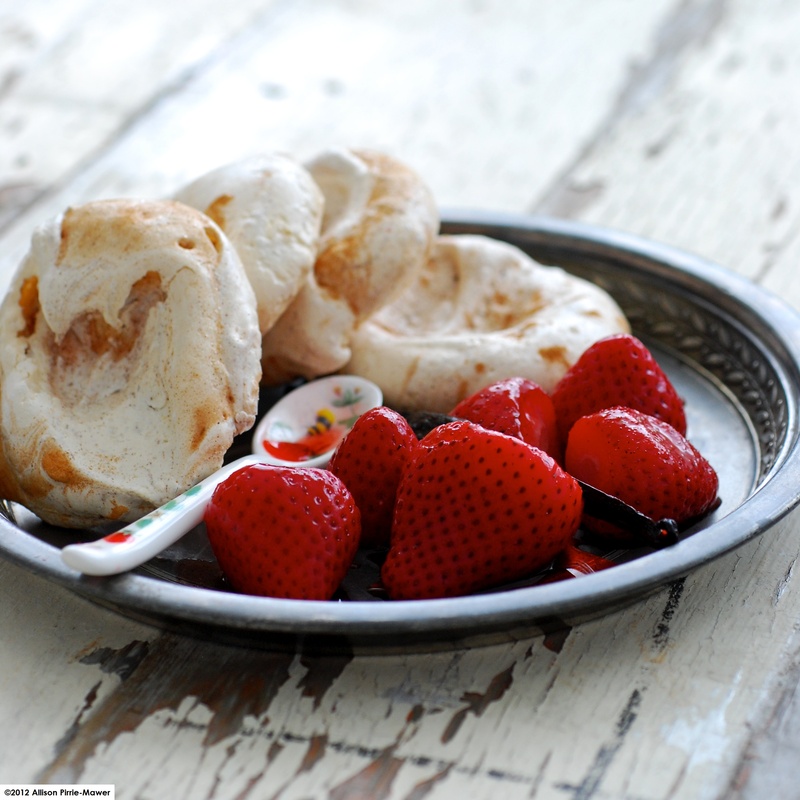 Place the strawberries on one half of the greaseproof paper with the vanilla syrup. 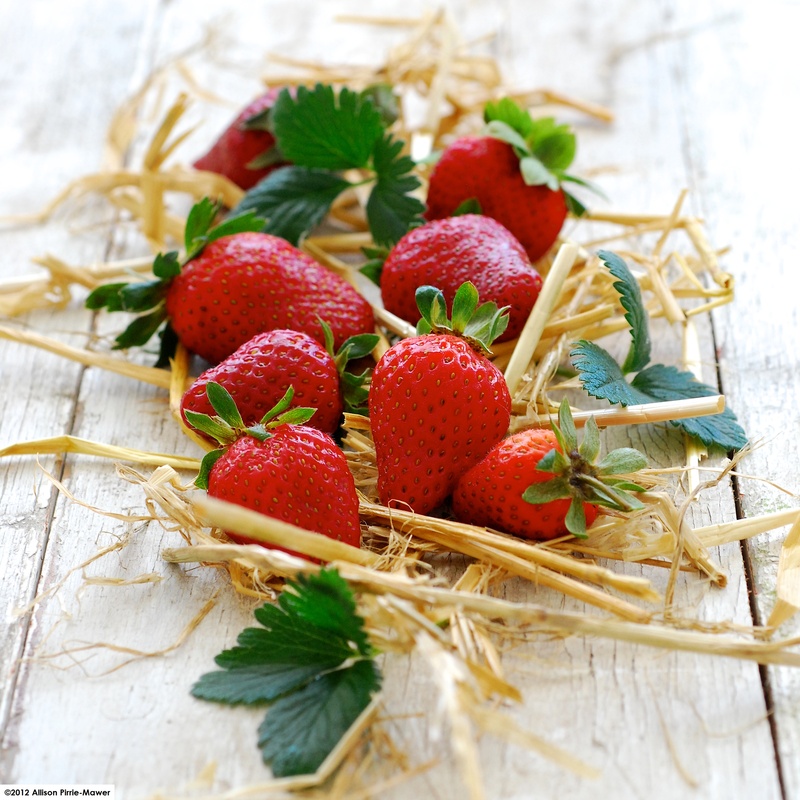 Fold the other half over the strawberries and then fold the three open sides over twice to make a parcel. Click Here for a YouTube demo, it’s done a little differently and I make my parcel round the fruit but it gives you the idea. Place strawberry filled parcel onto a baking tray and roast for 12 minutes. Strawberries should just start to soften but hold their shape still. Don’t over roast or you will end up with a ‘mush’. Preheat oven to 200C degrees centigrade. Place flour, butter and sugar into a bowl. Using your fingers, rub mixture together until it resembles fine bread crumbs. Or use a food processor. Form a well in the centre of bread crumb mix and add the milk, kneed gently to form a soft dough. Transfer scone dough onto a floured board and press the dough out with hands (rather than using a rolling pin) until it is about 2cm thick. Place on a baking tray and bake for 15 minutes or until golden brown. If you tap the bottom of one they should sound hollow when cooked. It may be a tad early for strawberries, most currently in the shops are still from overseas but rumour has it from the man in the know at Best Berries (my hubby) is that they are just about to pick their first crop. I have been doing a bit of photography for him to glam up their website site a bit, hubby even pilfered my camera to take shots of their new swanky strawberry chariot. 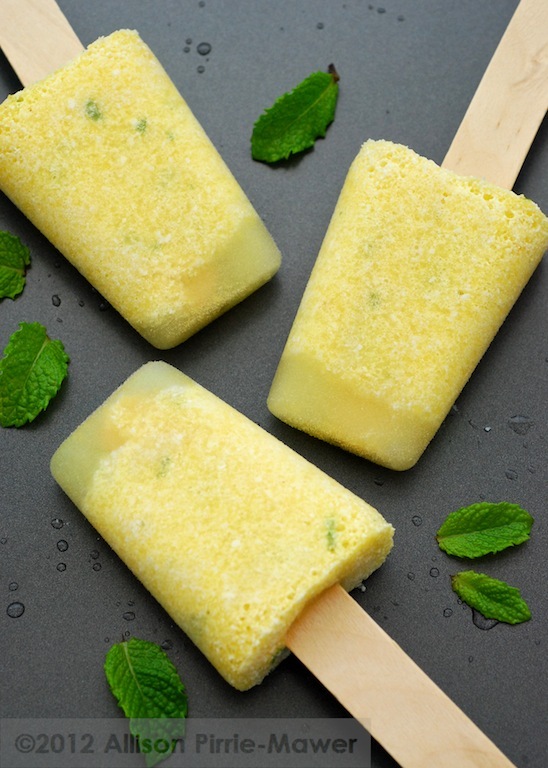 To kick start the season off, here is a very simple recipe with few ingredients, I have been experimenting with Equagold Tahitian Vanilla Syrup which was one of our generous Conference Sponsors this year. Thank you Equagold, I am enjoying using your product. 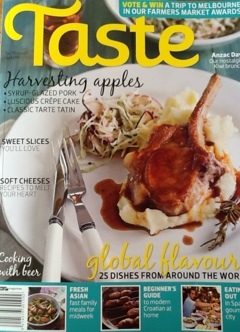 But before I dive into the recipe, congratulations to Kirsten and Lucy who won the double passes to Taste of Auckland! It going to be a splendid event and I hope to see you there. 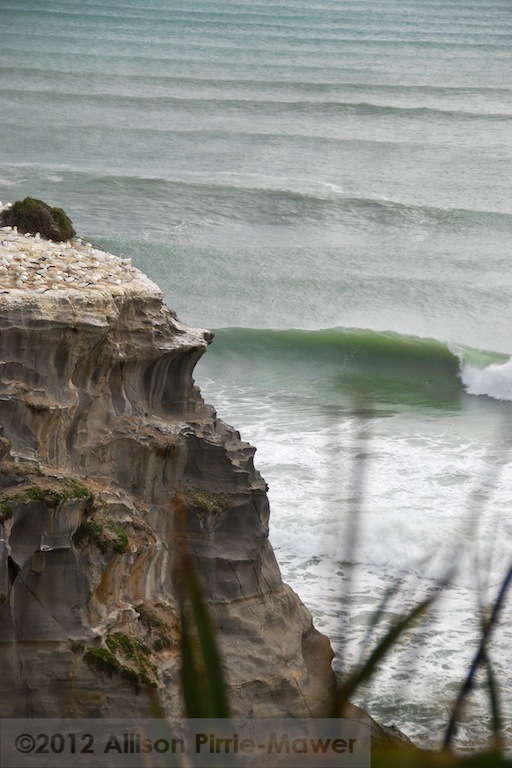 For those not as lucky as our two winners you can still grab some early bird tickets on line. 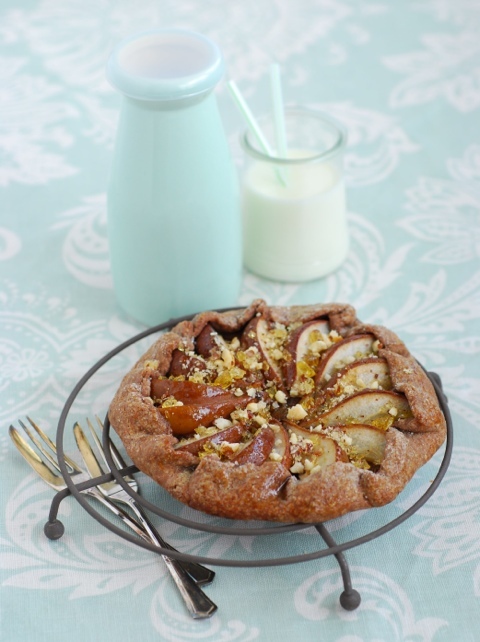 What can be more comforting than a warm apple tart? 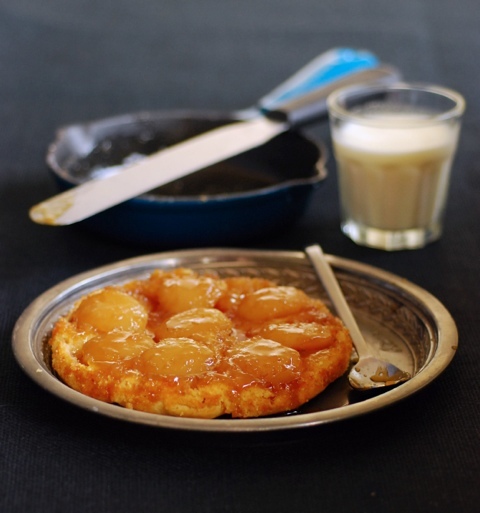 I’m not a big pie fan, one two many layers of pastry for my taste but hubby loves pies so the Tart Tatin is a good compromise and really easy to make. Don’t believe any of those Masterchef challenges that make it look hard, it really isn’t and if you use store bought puff pastry it’s even quicker. I have used sweet short crust pastry and have offered my recipe here if you prefer to make your own make your own. With slightly more than half fat to flour in this recipe it ensures a nice rich melt in the mouth pastry. The recipe,will make 1 large tart or 4 mini tarts. Over a low heat dissolve the water and sugar in a medium sized frying pan (oven proof), cast iron if you have one. Add the butter and gently heat until starting to caramelise. Stir in the grated ginger. 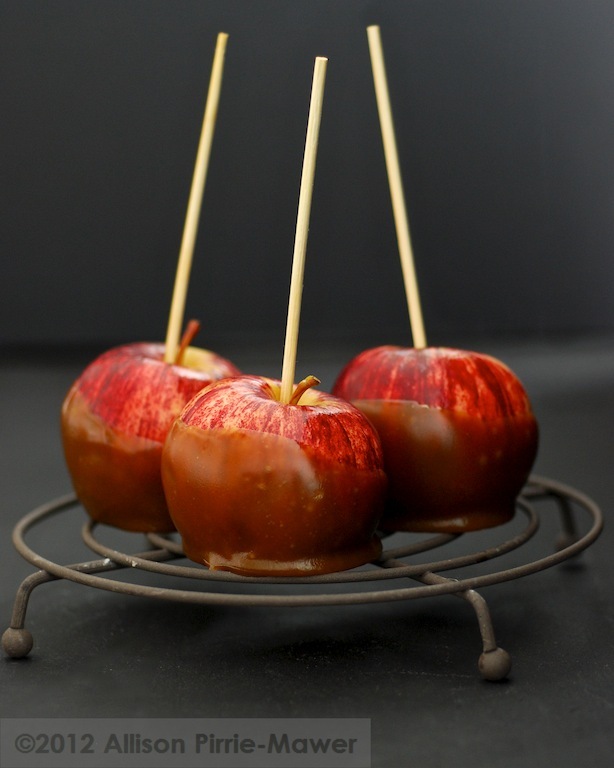 Add the apples and cook over a medium heat for about 10 minutes, shake the pan now and then to coat them in the caramel. Remove from the heat and arrange the apples to fan round the pan. Lay the pastry over the apples then tuck the pastry round the apples and down the inside of the pan. Place tart in the oven and bake for 30-35 minutes or until golden. When the tart is cooked remove pan from the oven and allow tart to rest for 5 minutes. Running a knife round the edge to dislodge any pastry that has stuck and invert the tart onto a plate. To prepare the praline put the water & sugar for the toffee in a pan on a low heat until the sugar has dissolved then turn up the heat. The sugar liquid should boil and start to turn golden brown, once it does turn off the heat and add the hazelnuts to the pan. Pour mixture out onto a grease tin to cool. Once set, blend in a food processor or bash with a mortar & pestle! For the pastry, place the flour, cocoa & butter in a bowl. Add the egg and gently knead the dough together and divide into 4 equal portions, shape them into balls and flatten. Preheat oven on ‘bake’ to 180C . Prepare the pears by coring them, slicing them into halves and then into 1 cm thick wedges. Roll one piece of dough into a circle the size of a ‘side plate’. 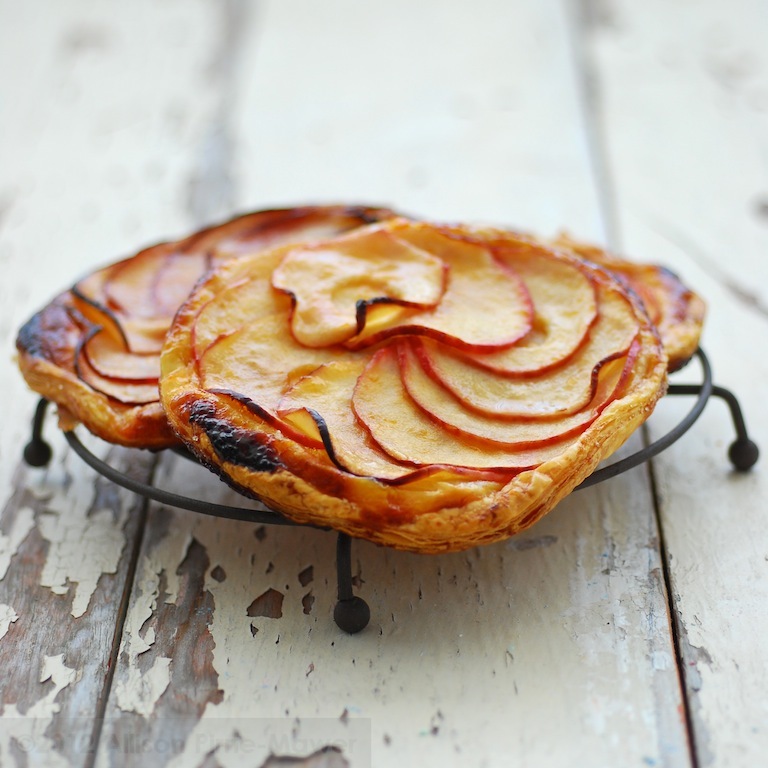 Arrange pear wedges in a circle from the centre of the dough leaving 4cm free at edges. Fold dough into the centre, pleating as you go, it doesn’t have to be perfect, galettes are rustic. 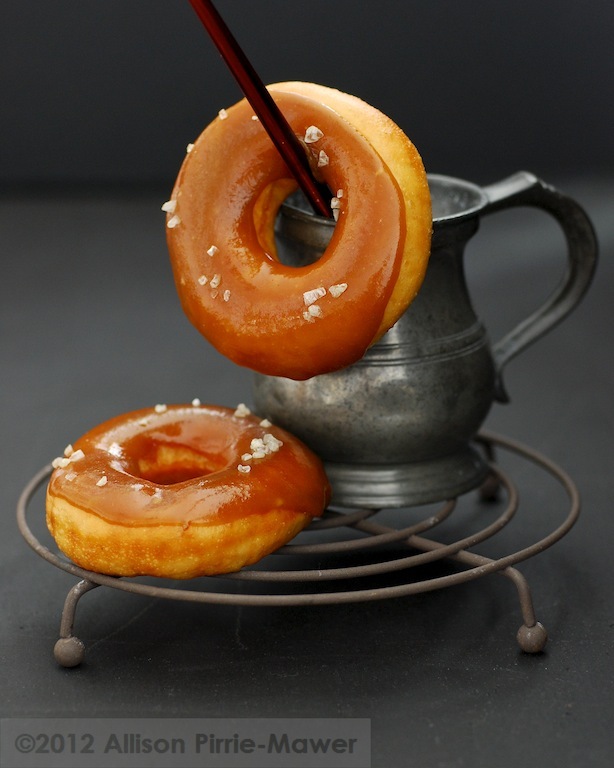 Brush the pastry with a little milk and dust the whole galette with sugar. Repeat with the rest of the dough. Alternatively you can make one large galette. 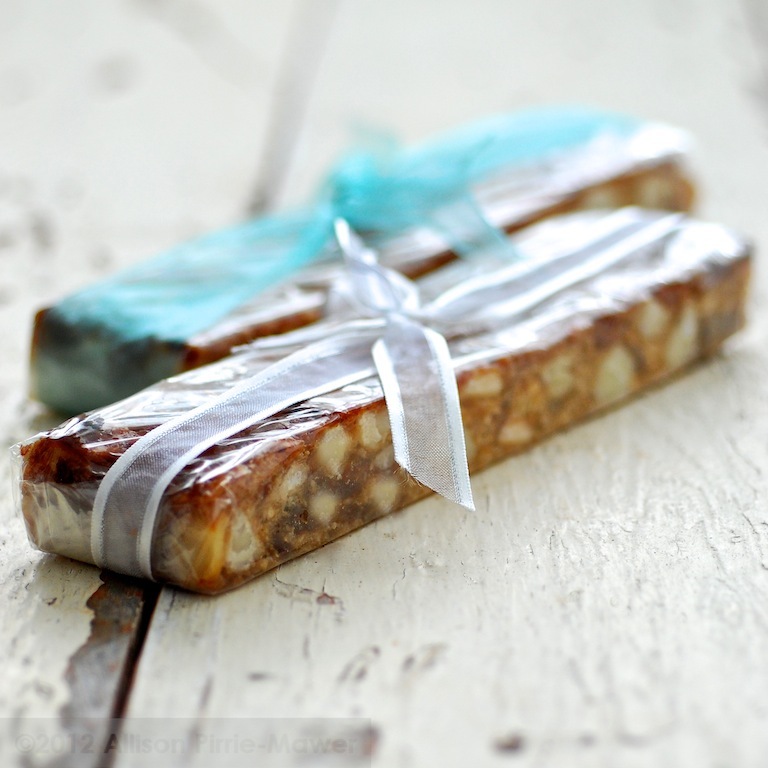 Sprinkle praline mixture over the top of each galette and place on a non stick baking tray. Bake for 25 minutes or until golden brown (a larger galette will take approx 35 minutes).